After the holiday shopping season ends, retailers around the country hold sales to get shoppers spending. However, not all after Christmas sales are great deals. Knowing what to buy now (and what you should skip until later) can help you save a ton of cash. Certain items almost always go on sale after Christmas. Many stores consider this time of year the start of a transition away from winter items. Because of this transition, many stores offer deeply discounted goods. When it comes to Christmas decorating, you should never buy before or during the actual holiday. December 26 marks the start of clearances on Christmas decorations and other holiday décor. Ornaments, artificial trees, holiday string lights, holiday inflatables, and similar goods will all end up on sale for pennies. These discounts are predominately a means of clearing out space and encouraging shoppers to purchase out of season. By shopping for holiday décor in after Christmas sales, you save money and get a head start on Christmas 2019. However, before you make a purchase, make sure you have space to store your new items. Clean out what you have and make a list of what you need for next year. Items like eggnog, turkeys, summer sausages, and similarly seasonally popular food and drink products lose their appeal after Christmas. To get the items off their shelves, retailers offer discounts to entice people to buy them quickly. This is also true for regular food and drink items that had seasonal flavors for the holidays. After Christmas, some shoppers have burned out on flavors like peppermint mocha and pumpkin spice. Stores offer them for less to get them to sell. Many car dealerships offer big discounts at the ends of months, quarters, and years. Once Christmas is over, dealers are looking to sell off as much inventory as possible, leading to stellar after Christmas sales and potentially increased bargaining power. By waiting to buy until after Christmas, you could be making an incredibly smart decision. Just make sure you only buy a vehicle if you genuinely need one, as something at this price point typically shouldn’t be an impulse purchase. Many retailers include shirts, pants, and coats in their after Christmas sales. As mentioned above, the end of December often marks the beginning of a transition as retailers prepare for the coming spring. This means heavier clothing items might be available at deep discounts, especially if they have patterns and colors that distinctly align with winter. After Christmas is when many people begin planning their New Years resolutions. Getting fit and losing weight are two of the most common, and stores look to cash in on the upward trend in interest by discounting their exercise equipment. By adding exercise equipment to their after Christmas sales, retailers connect with shoppers who want to have items on hand before January 1st. However, it is important to note that these sales often continue into January, so, if you don’t find a great deal, consider waiting a week or two and searching again. Since people spend so much on video games and toys in preparation for Christmas, retailers know that they have to entice shoppers with great prices if they are going to shop more in these categories. You can find exceptional prices on popular video game titles as well as some of the hottest toys from the Christmas season, potentially allowing you to save big. Plus, some stores use these after Christmas sales to reduce their toy and video game inventories. Since shoppers are going to be spending at levels that are more average, they don’t need to keep the same level of stock. Additionally, they are working to capitalize on video game consoles people received as gifts, encouraging them to buy new games for their consoles. Gift sets are a Christmas staple. However, once the gift-giving season passes, interest declines dramatically. This is especially true since many pre-packaged options feature holiday packaging. Since stores don’t want to keep these items in inventory for long, they offer deep discounts to get them off shelves. Anything from food items to personal care products can be found for less, as long as you don’t mind the holiday packaging and buying items as a group. While tons of other items go on sale after Christmas, not all of them present great deals. In some cases, waiting just a few more weeks can make a massive difference, so bypassing these products now is a wise choice. In many cases, waiting until closer to the end of January is best if you need a television. Sales connected to the upcoming Super Bowl usually result in better discounts, especially if you are looking for a high-end, big screen tv. New models of certain electronics are revealed in January, so waiting until that happens can help you save big on older models. This is especially true for desktop computers and laptops, two high-cost items where buying during a great sale can really make a difference. Wait until after the International Consumer Electronics Show in January before shopping for electronics. In 2019, International CES runs from Tuesday, January 8, through Friday, January 11, so expect big sales during the next sale cycle. While there can be respectable after Christmas sales on jewelry, waiting until closer to Valentine’s Day may help you spend less. Most jewelry and department stores are competing for business as February 14th draws near, so they will slash prices to catch shoppers’ interest. Unless you are buying gift sets, which can be cheaper during after Christmas sales, perfumes and colognes are usually available at deeper discounts closer to Valentine’s Day. In fact, February can be a great time to buy fragrances for certain spring and summer occasions, like Mother’s Day and Father’s Day, as high-end perfumes and colognes will maintain their quality during the wait. Most stores hold their “white sales” in January, usually near the Martin Luther King Day holiday. By waiting, you can find better prices on sheets, towels, pillows, comforters, and more at most major retailers. Waiting until after the new year starts can help you save on calendars and day planners with printed dates. Around mid-January, the discounts start to emerge as the peak buying season is over. By holding off for just a few weeks, you can save up to 50 percent, making it worth the wait. You have heard it time and again to buy Christmas cards, wrapping paper, ornaments and other Christmas items after December 25 to use in 2015 as a way of saving money. These are all great tips (you should be doing them), but there are other great after-Christmas shopping deals you may not have thought about which can save you money in unexpected areas. Here are five that are less obvious than the items you typically find on these lists. One of the best time to stock up on gift cards to stores you frequent on a regular basis to buy your everyday goods is post Christmas. Gift cards are a common Christmas gift, but many times the recipient, for whatever reason, won’t use the gift card they are given. This results in a large number of gift cards hitting secondary markets, like eBay, all at the same time, thus driving down the prices to lower than what these cards usually sell for. Look for gift cards to your favorite retailers and you can likely score some better than average discounts on them. Gift sets are usually a good bargain, because the manufacturer, when putting the items together as a gift set, usually lowers the price of each individual item within the set. In other words, they are already a bargain. The thing is, gift sets don’t sell nearly as well after Christmas, so they get discounted even more. If the items in a gift set are things you will use, you can pick up some great bargains during after Christmas sales. When it comes to wine, Christmas-themed wine is still considered by most to be a novelty item. The wine industry has figured out that by simply putting a Christmas, holiday or winter theme on the label, they can sell the wine at a slight premium over a standard label. While this is great for their profits, the other side of the coin is once the holidays are over, that same wine gets discounted more than a standard wine. If there is a Christmas wine you enjoyed, and you don’t care what your wine bottles look like, buying Christmas-themed wines after December 25 can save you a lot of money. It’s also great time to pick up a themed holiday gift for 2015. Wine keeps well, and those same bottles will make great gifts next year. For those looking for ways to save money on beer, after Christmas sales are a great opportunity to do so. 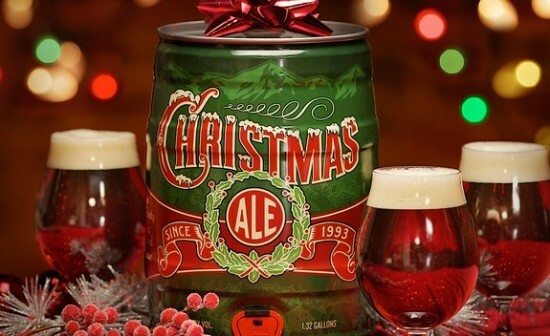 While Christmas-themed wine may still be a novelty, the same isn’t true with beer. Christmas beer has become quite common as a way for beer makers to target consumers and charge a premium price. Just like the wine, however, as soon as Christmas is over, this beer gets discounted more than non-themed beer. If you like beer, the Christmas editions can be a great time to pick up a bunch at a discounted price. The beer still tastes the same as it did on the 25th, it just happens to be a day or two older. If there is anyone in your family or among your friend who is expecting a baby in 2015, now is the time to get their first Christmas gifts. No matter when they are born in 2015, when Christmas rolls around, it’s going to be their first Christmas. Getting “first Christmas” gifts now will save a lot of money over getting them before Christmas in 2015. It does make sense to get all your wrapping paper and cards for next year, but there are a lot of other places you can save money at after Christmas sales if you use your creativity. Anything with a Christmas or holiday theme is fair game, and should be greatly discounted for the next few weeks.